Water is liquid, air is gaseous, but glass? For years at end, glass has perplexed scholars intending on fixing it under a state of matter. 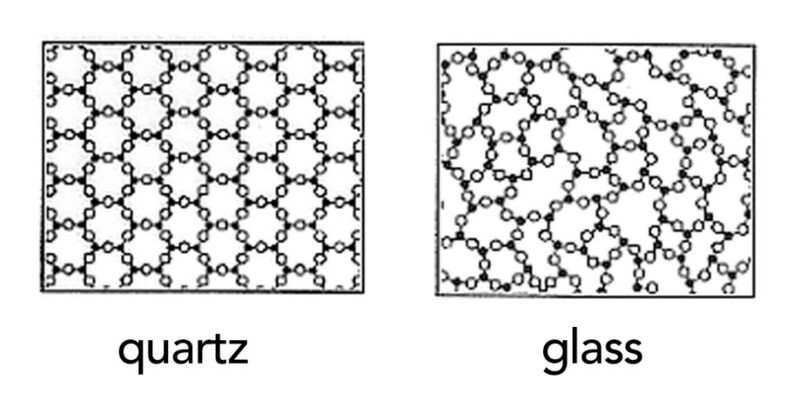 Neither liquid, nor solid, explaining glass is a lot harder than some might think. Researchers at Duke University have contributed to solving the puzzle after they performed numerical solutions and found the energy landscapes of glasses are far rougher than previously believed, as their constituting molecules jam to form wells. In glass, molecules still flow, but their rate flow is so low that it’s barely perceptible. As such, it’s not enough to class glasses as liquid, but neither as solids. Chemists seem to be contend on calling them amorphous solids— a state somewhere between those two states of matter. Solids are highly organized structures. They include crystals, like sugar and salt, with their millions of atoms lined up in a row, explains Mark Ediger, a chemistry professor at the University of Wisconsin, Madison. “Liquids and glasses don’t have that order,” he notes. Glasses, though more organized than liquids, do not attain the rigid order of crystals. “Amorphous means it doesn’t have that long-range order,” Ediger says. With a “solid—if you grab it, it holds its shape,” he adds. Previously, researchers used mathematical models to describe how the energy landscapes of glasses look like. As stated earlier, glasses distinguish themselves from other matter due to their constituting molecules lack of order. These molecules steadily and sluggishly cool until molecules are trapped by their neighbors, but in an unpredictable fashion. This is why the older the glass, the more it looks like a solid. One way for researchers to visualize this is with an energy landscape, a map of all the possible configurations of the molecules in a system. Charbonneau and colleagues performed numerical simulations, combined with what they know from the theory of glasses, to render energy landscapes . Their analysis suggests molecules in glassy materials settle into a fractal hierarchy of states, which can be imagined as a series of ponds or wells. When the water is high (the temperature is warmer), the particles within float around as they please, crossing from pond to pond without problem. But as you begin to lower the water level (by lowering the temperature or increasing the density), the particles become trapped in one of the small ponds. Eventually, as the pond empties, the molecules become jammed into disordered and rigid configurations. These findings make sense of empirical observations, which were difficult to explain previously, like the property known as avalanching, which describes a random rearrangement of molecules that leads to crystallization. “There are a lot of properties of glasses that are not understood, and this finding has the potential to bring together a wide range of those problems into one coherent picture,” said Charbonneau. Findings were reported in the journal Nature Communications.